Holiday madness is almost upon us so this week's Eat the View is all about keeping one’s gaze focused on spending delicious, meaningful time with loved ones. Though we will be closed for Thanksgiving so our staff can celebrate at home, where they hopefully get to step away from the stove, Black Friday we open our doors (and our arms) wide for a holiday season we’re really looking forward to....with a few well chosen festivities we think are gonna rock it. Here are some unique treats and dates to get on your calendar. First up is Healdsburg’s Downtown Holiday Party, this Friday from 4-8. We love this evening when the whole community is engaged with strolling around, catching up with old friends, sipping, nibbling and checking out all the beautifully decorated shops around the Plaza. We do our bit: the Studio will be glittering with charming Christmas ornaments, soaring porcelain vases for your holiday table, and unique arts and crafts from down the road and around the world - all one of a kind gifts - all here for your ogling enjoyment. Until Christmas Barndiva Gift Certificates for over $100 will include a bottle of Preston/Barndiva proprietary red or white. We've never met a person who didn't love getting one of our gift certificates - good for anything we do in either the barn or the gallery - cocktails, food, wine, art. The perfect gift when you don't know what to give, and most especially when you do. On Friday we will publish the NYE menu, elegant, three-course, classic Ryan (with a few surprises) for $85, with an extraordinary wine pairing by Alexis if you so choose for $55. There will be a full bar in both the barn and the studio and we’ll be pouring magnums. 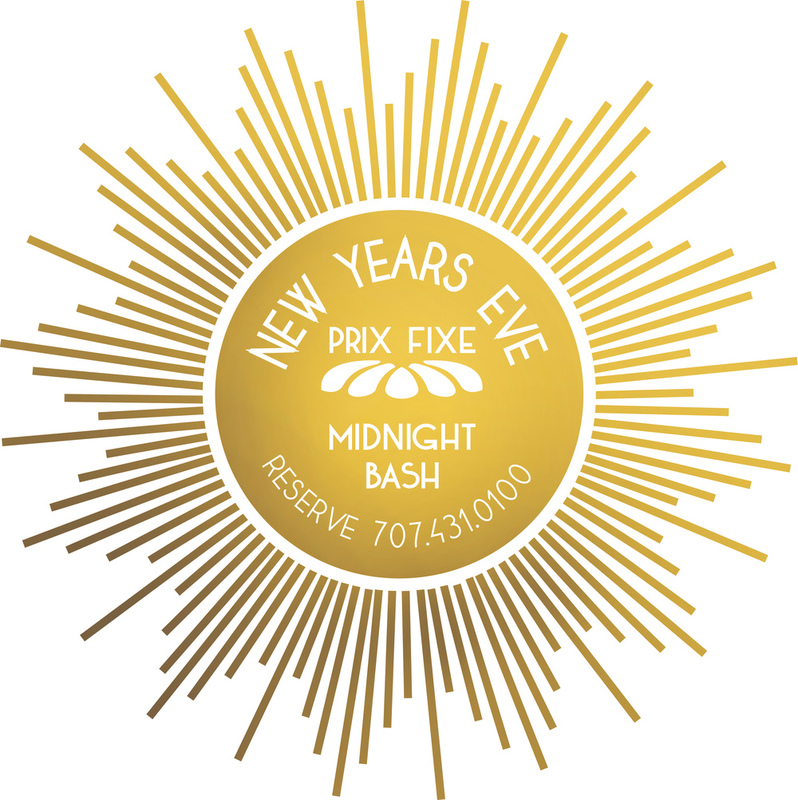 This year you can reserve from five o'clock on - so even if you choose to dine earlier in the evening and go visit friends, you are invited back at midnight to dance and raise high the roof beams as we ring in 2015. We will accept large parties this year, but feel free to come a deux and make new friends. And don't forget: Barndiva will be participating in Strolling Dine Around on December 3rd, 4th, 10th & 11th, and we are proud to once again be contributing to Dine Around for Life, which is December 4th. All in all, it's shaping up to be a great season. We invite you to escape into the barn for a drink after shopping or a quiet dinner with friends before the whole family descends. Whether you join us for a little moment this season or the last blowout of the year, we look forward to seeing you and raising a glass.